RecipeSavants.com This beet, arugula, olive, shallot, and feta salad is only dressed with olive oil to keep it light and to preserve the roasted beet flavors. 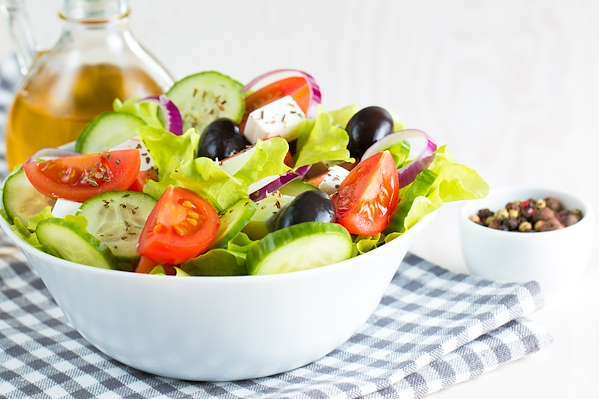 If you prefer a more substantial dressing, this salad pairs very well with my tangy lemon poppy seed dressing. Smart Recipes, European Recipes, Dairy,Vegetables Recipes, Recipes Dairy,Vegetables European Arugula & Roasted Beets Salad PT50M Serves 4 Ingredients: 2 Pounds Beets 0.5 Pound Arugula 0.5 Pound Feta 16 Kalamata Olives 1 Large Shallot 0.25 Cup Extra Virgin Olive Oil 0.5 Teaspoon Salt & Freshly Ground Black Pepper Preheat oven to 400 degrees. Arrange beets on a sheet pan, brush evenly with oil, and season with salt & pepper. Roast until beets are tender, about 30 minutes. In a large bowl, combine beets with arugula, feta, olives & shallots. Toss well and serve. 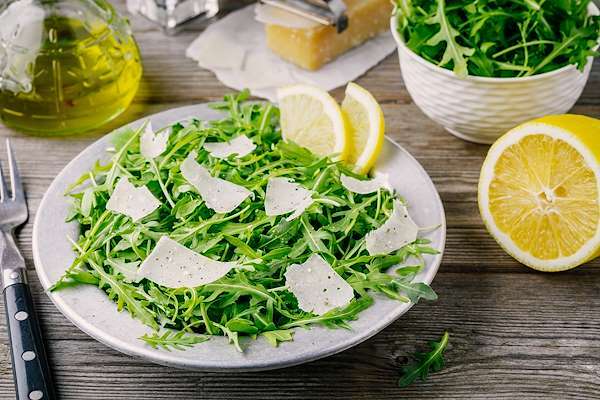 This simple arugula salad is dressed only with olive oil and lemon juice, and is a perfect first course for a fast weeknight meal.